The story of signage on the New York City Subway System is both a long and fascinating tale. Once a bewildering hodgepodge of lettering styles, sizes, shapes, materials, colors, and messages, the signs began a radical transition in the mid-1960s. In the hands of design firm Unimark International, the system’s mess gave way to the clarity that reigns today, with station names, directions, and instructions in crisp Helvetica. Ultimately, order triumphed over chaos—but the journey was anything but easy. New York design historian and lettering artist Paul Shaw knows the story better than anyone, and he’ll be on hand to share it with us on November 16. In a presentation structured after his acclaimed book, he’ll regale us with the ins and outs of how the subway system acquired the distinctive look it has today. Join us for an insightful talk with the author, and buy a book and t-shirt on the way out. 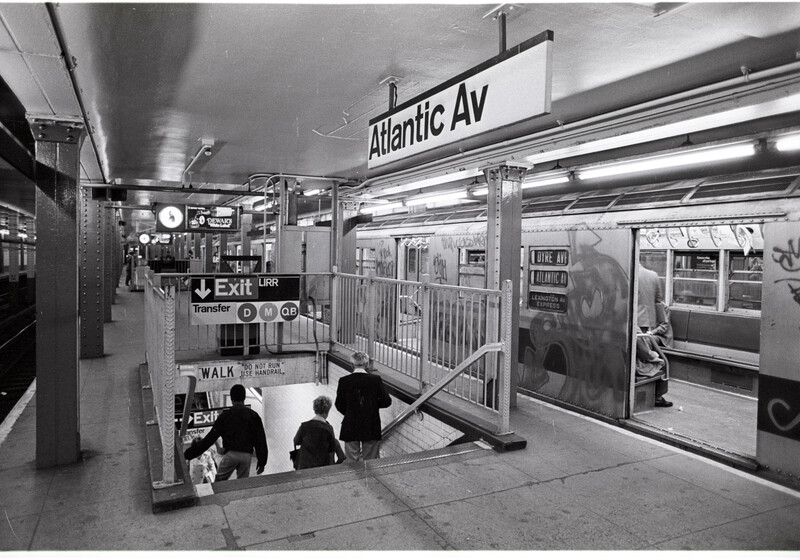 Atlantic Avenue station (New York City Subway) signage, c.1973.